Ian and I will spend the last day of 2010 in the Windy City where the Nets and Bulls will battle to usher in the new year with a win. Led by Derrick Rose and Carlos Boozer, Chicago’s very young nucleus of players leads the Central Division by seven games, and they have the third best record in the East. New Bull Boozer is clicking with elite guard Rose and helping to make Chicago one of the hottest teams in the league. Trailed only by Washington and Cleveland in the Eastern Conference, the Nets continue to fight their way out of the cellar as they dedicate this season to laying the groundwork for the future when more depth and talent will be added to their roster. Avery Johnson has done an excellent job of staying positive and focused on his team’s long-term goals while they rebuild. 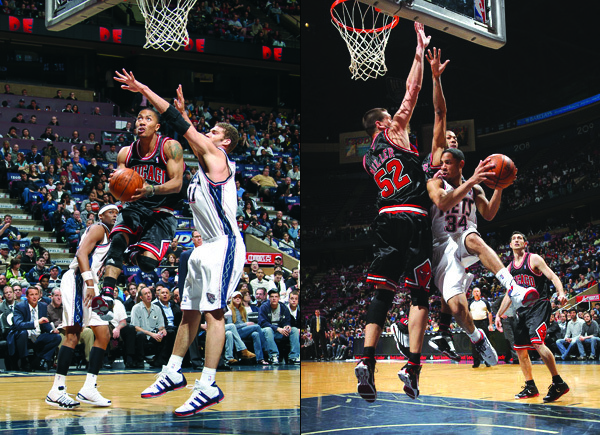 Tune in to YES for live coverage of the New Jersey Nets vs. Chicago Bulls at 3:00 PM ET. The San Antonio Spurs own the best record in the NBA at 27-4 and are in the midst of the best start in franchise history. 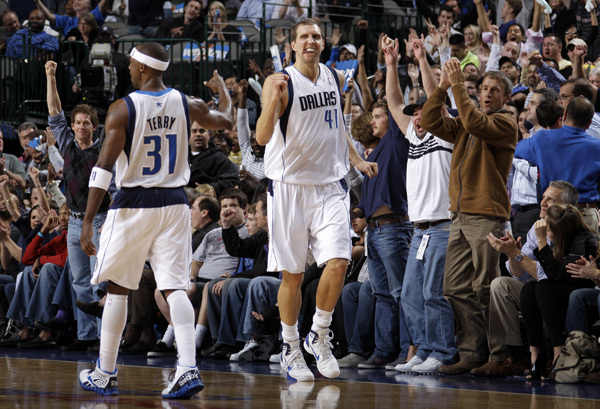 The Dallas Mavericks are tied with the Boston Celtics for the league’s second best record at 24-6. 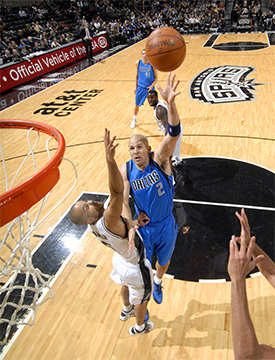 The Spurs lead the Mavs in the Western Conference’s Southwest Division by 2.5 games. A little more than a month ago, Dallas went into San Antonio and beat the Spurs 103-94, ending San Antonio’s 12-game winning streak. So tonight, Coach Greg Poppovich, in his 16th year as headman for the Spurs, and his squad come north to Big D looking for a little payback. The Spurs beat the two-time defending champion Los Angeles Lakers on Tuesday night at home 97-82 despite a low-scoring performance from Tim Duncan. on their home court this season. These two teams appear to have reversed identities. Dallas, who used to rely on outscoring their opponents, have shored up their defense over the past two seasons, and last year they were the best defensively that they’ve ever been. As they continue their commitment to improving on the defensive end, they now take a little more time with ball possessions and are more selective on offense. Meanwhile, the once slow-scoring Spurs are now third in the NBA in assists per game and fourth in the league in scoring. They always ran their offense through Tim Duncan and are now taking a different approach of getting the ball down the court more quickly and shooting more quickly than in the past. By the nature of their game they are not quite the defensive presence they used to be. Dallas has gotten the better of the Spurs in their last four matchups, but with the big German likely sporting street clothes again tonight they’ll have their work cut out for them against a San Antonio team that is balanced and good at passing the rock. The Mavs’ 76 points against the Raptors on Tuesday were a season-low, and 7 fewer than the 83 they managed in a loss on 11/19 to the Chicago Bulls. All of this means that with Dirk out of the line-up, the rest of Dallas’ roster needs to step up their game and try to fill in for the 2007 NBA MVP’s day-to-day absence. Kevin Harlan, Reggie Miller and I will be on deck at tonight’s big showdown between the Western Conference leaders. Tune into TNT’s coverage of the Lone Star State’s hardwood hoopla tonight at 9:30 PM ET. The Dallas Mavericks are the only team in the league that has won every game this season in which they’ve scored at least 100 points. 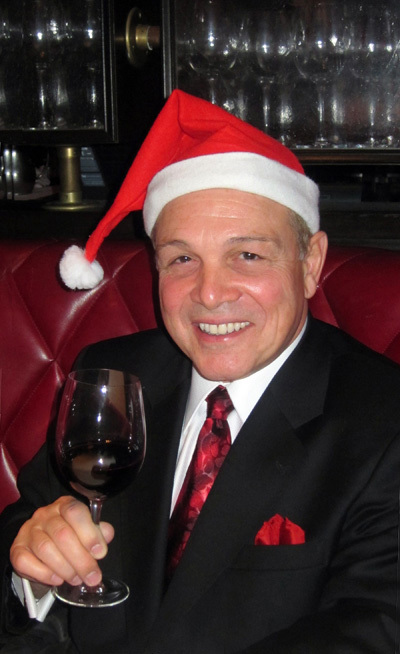 I’d like to raise a glass and toast all of you who tune in to my broadcasts and the blog. Have a healthy and prosperous new year!